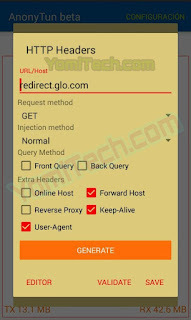 The Glo N0 cheat is nothing new especially to those who have been following my blog for a long time as the cheat as this blazing for over a year now and it's still working as ever. 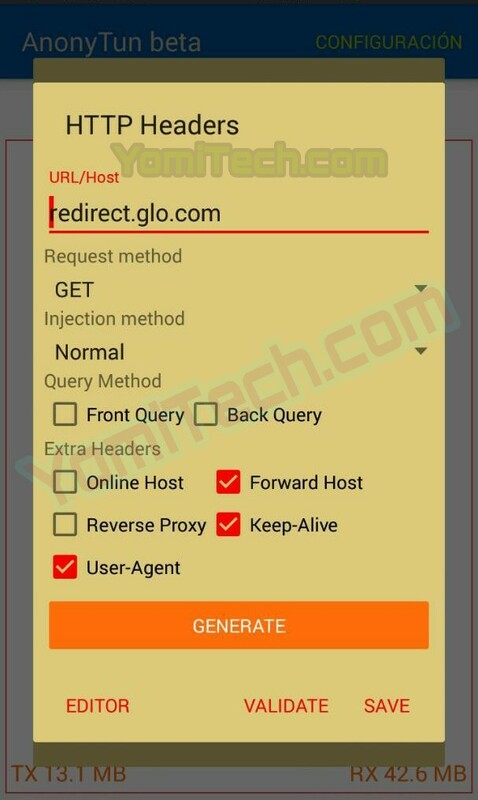 Although the Glo cheat works with different VPNS, a lot of people including me prefer using the Glo cheat with anonytun VPN as it's fast and also free. But the problem a lot of people have with this app is the annoying ads. A new ad free version of anonytun is out now and it's called AnonyTun VPN beta v5.0. Although both apps have the same interface, the noticable difference is the fact that this is in Spanish and not in English. It uses the same settings as the old anonytun, but you can also follow the configuration below. ** Skip the rest of you like or tick as shown in the image below. >> Click on CONECTAR, wait a few seconds for AnonyTun Beta to connect. 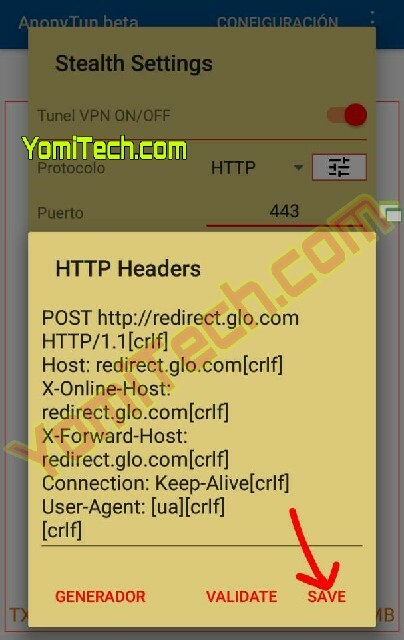 Glo is no longer connecting, what could be the problem?